Progressive income taxes?designed to fund government services and facilities—go back centuries, and are based on the idea that taxes should be levied most heavily on people with the ability to pay them. In the United States, the federal government introduced its first income tax in 1861, to cover the costs of the Civil War. Although new federal income tax legislation in the 1890s was ruled unconstitutional by the U.S. Supreme Court, the resulting public controversy led, in 1913, to passage of the sixteenth amendment to the Constitution, firmly establishing the legality of an income tax. The progressive income tax?levied, at its inception, only on the wealthiest Americans?was a key demand and political success of the Populist and Progressive reformers of the late nineteenth and early twentieth centuries. As might be expected, most of the wealthy regarded it with intense hostility, especially as the substantial costs of World War I sent their tax rates soaring. The development of jobs programs and other public services during the New Deal, capped by the vast costs of World War II and the early Cold War, meant that, by the 1950s, although most Americans paid income taxes at a modest rate, the official tax rate for Americans with the highest incomes stood at about 91 percent. Of course, the richest Americans didn’t actually pay at that rate, thanks to a variety of deductions, loopholes, and its application to only the highest increment of their income. Even so, like many of the wealthy throughout history, they deeply resented paying a portion of their income to benefit other people?people whom they often regarded as inferior to themselves. Consequently, cutting taxes for the rich became one of their top political priorities. A key reason why most Americans favor taxing the rich is the traditional one: the wealthiest have the greatest ability to shoulder the nation’s tax burden. After all, America’s richest one percent now possess nearly 40 percent of the nation’s wealth?almost twice the wealth held by 90 percent of the public. Indeed, it’s hard to imagine why they need to add anything to the enormous wealth they have already amassed. For example, Charles and David Koch, heirs to a vast fortune and, currently, the leading champions of tax-cutting and other rightwing schemes, have a combined net wealth of $120 billion. If they simply stopped raking in additional income and, instead, each spent $1 million per day, they could continue doing that for over 164 years. Conversely, nearly half of all American households cannot afford the basics of existence like food, housing, and medical care. Why should they be taxed heavily?or at all?to fund public facilities and services that the richest Americans, with their unprecedented wealth, can easily afford to cover? 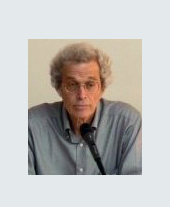 Dr. Lawrence Wittner, syndicated by PeaceVoice, is Professor of History emeritus at SUNY/Albany. 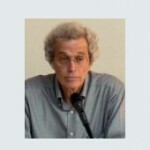 He is the author of Confronting the Bomb (Stanford University Press).